Owning this bass has sparked me to launch a personal quest. I have been researching and studying the International Series colored instruments that, based on my memory and research, were introduced in late 1980 and the production of them ended by late 1981 or early 1982. My quest was to learn if THIS bass was part of that Series but I have concluded that it is NOT, based on subtle model differences that I have discovered. This particular Fender production period can be confusing as they continued using the serialized "S" Logo decals past their designated dates. The dating scheme of "First" letter indicates Year, as an "S" indicates "Seventies," and the number following is "SOMETIMES" indicative of the Year of Manufacture, as an "8" or "9" could indicate 1978 or 1979, does NOT always apply. Fender made so many Serialized Logos that they simply continued applying them to most of the instruments they manufactured up to and including those made in 1982. Finding quantifiable information and evidence is daunting as many owners and sellers of this era Fender instruments are merely Not aware of the anomalous Serials, and when viewing posts or advertised examples online, it makes tracking the feature changes a difficult and challenging task as so many instruments are incorrectly identified by online vendors and individual sellers alike. The "International Series" instruments apparently and oddly included 2 Sunburst finishes, as well as 7 Solid-Colors and ALL 9 finishes, were incorporated into most of the major guitar and bass models. Interestingly, the International Series Color instruments do NOT appear on any Price List or Fender Catalog that I can find, including the Sept. 1980 Price List, perhaps their new plan for the coming year's products may not have been set at the time of it's printing, and as stated above, the IS was a short-lived run. The December 1981 Price List shows "Sienna Sunburst" as an option on several models, and based on my research, that particular Color continued and remained a "choice" until it made its LAST appearance in the January 1985 Price List, that is until being reissued in the mid 2000's, and it is still offered TODAY! 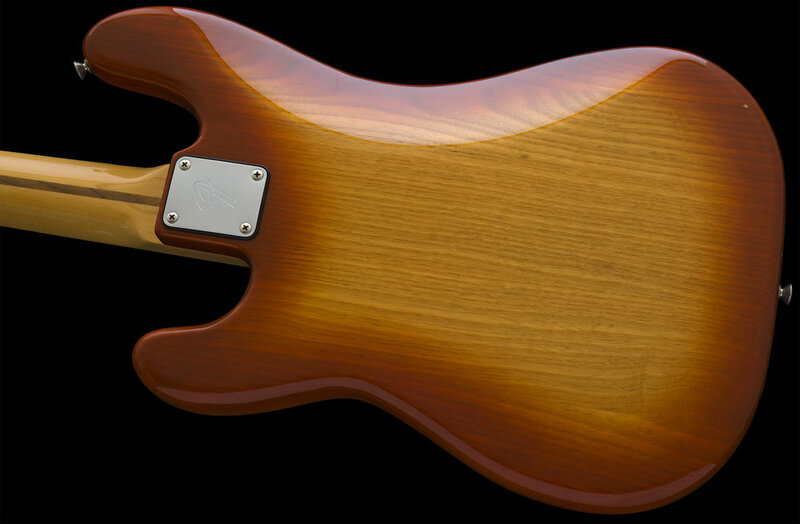 It was Just after the IS Color period that Fender underwent a major overhaul of its production tooling, building and finishing techniques, as well as its entire product line. In 1981, Dan Smith was brought in from Yamaha, and that started the wheels turning. By the time 1982 arrived, everything had begun changing, and this bass is proof that they put the product line on a belated and much needed body-shape diet. Once again, they started making some very nice looking and feeling parts again. This was largely due to the presence of Dan Smith and the pressures being placed on Fender USA by Fender's off-shore manufacturing, which were producing more refined products that were quite nice looking, especially when compared to the U.S. counterparts of that day. The decline in quality all began with the CBS takeover back in the mid-1960's. The 1970's decade brought about many more changes as they attempted to produce more instruments in less time and for fewer costs. The result was a gradual and progressive sloppiness associated with the fit and finishes, and the subsequent "body bloat" that the US models experienced. The competition and gradual decline in sales spawned the motivation to improve business and regain lost market share, and this was likely the impetus that brought about the high quality and innovative Smith era Elite Series instruments as well as the Vintage Reissue Series, which to this day may have been what single-handedly saved the company. The Vintage Reissue instruments seem to drive sales, and the public's interest in them remains strong to this day. I have examined, tested, serviced and set-up this instrument and found it to be factory-correct and unmolested. All of the electronics, nut, frets, finish and both the plastic and metal hardware are correct and original to the Bass with the exception of the chrome plated Bridge and Pickup Covers, which were absent back when I bought the bass. I like the look of the "Hubcaps" as I jokingly refer to them as, and replaced them with a recently made Reissue Set. Photos are showing it with and without the covers, but covers are included with the bass. The potentiometers are both dated 1981, and the neck is dated early 1982. The bass was played a bit long ago before I acquired it, and globally, it displays some usual but minor marks and signs of usage, but there are no major cosmetic or structural issues to notate. The back has a bit more wear than the other areas which includes some dings and small dents that are difficult to photograph, and I have attempted to show this in a photo where the light is reflecting off of the back, some are superficial scratches and some are shallow dings and minor worming marks into the top coat. I am giving the bass an overall condition rating of 8.75 out of 10. The CASE that was originally issued with this era instrument was the Plastic Injection Molded variety, and these often had issues holding up over time. The hardware and hinges often gave way, as was the story with this case, so I replaced it with a NEW U.S. Made reissue Fender Case. 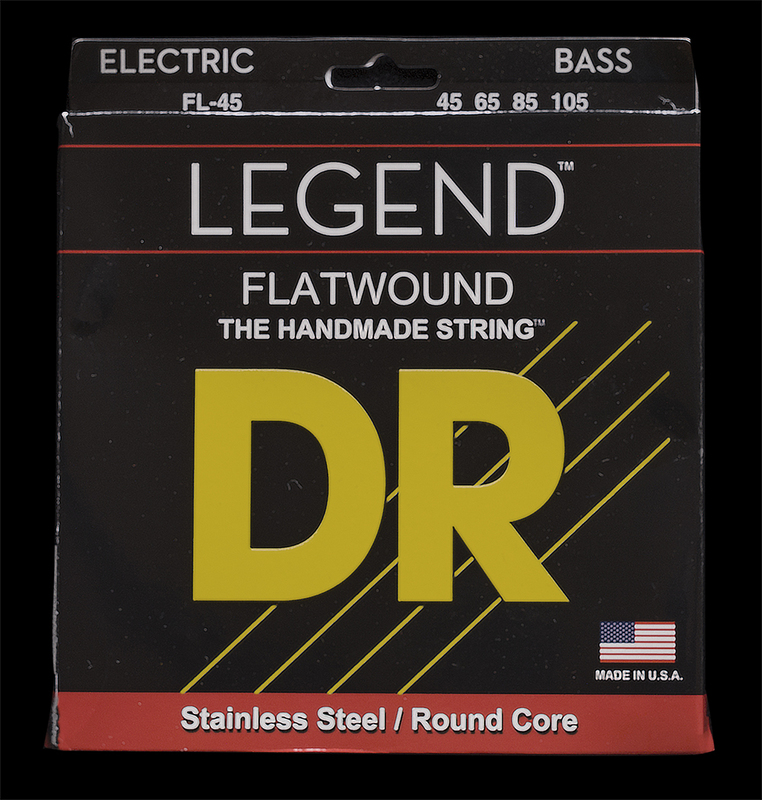 The STRINGS are a Brand New set of DR FL-45 Flat-Wounds that feel buttery smooth and sound warm and round. The bass is 36 years old now. I purchased it more than 22 years ago and held onto it as I liked it. This 2-tone Sienna Sunburst has a very mellow and warm vibe and is a finish I like, and I may not be the only one who favors this finish as Fender is still using it on some of their current offerings! 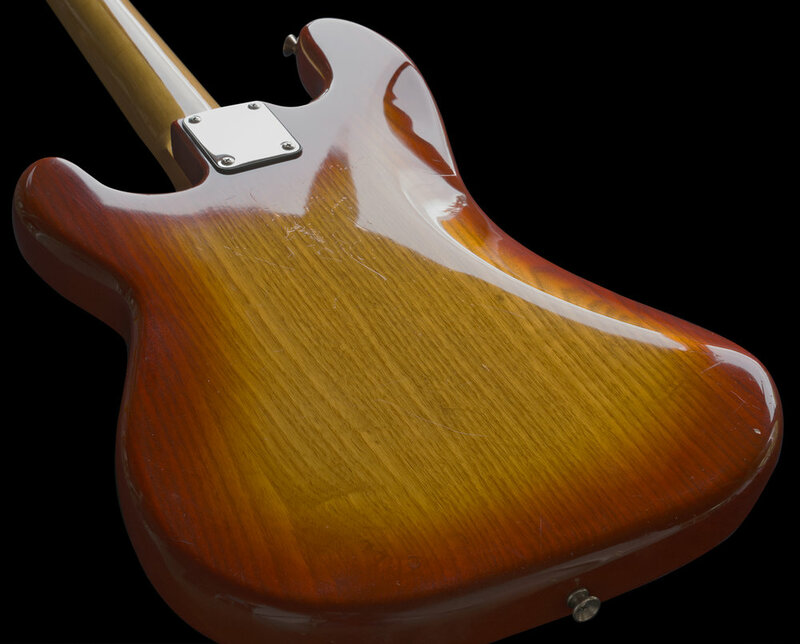 The finish is nicely and evenly applied over an attractive Ash body, and the neck has a "full" but very comfortable and sensible U-Shaped feel in my hand. Something to mention about the body, unlike the instruments that came just prior, this has deeper contours and a much more sculpted and refined shape. 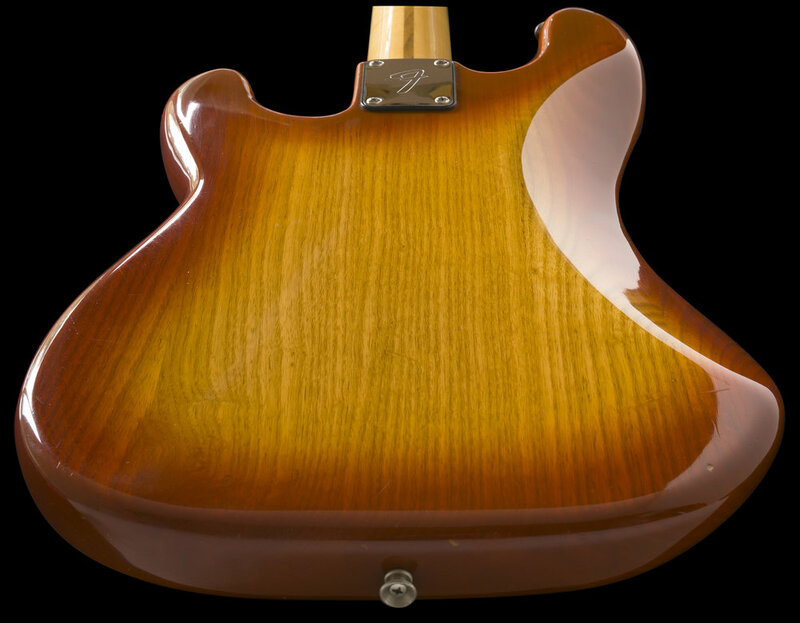 The prior production Fenders were the clunkiest and thickest ever produced, which is evident in the 70's models they made leading up to about 1981. Those chunky bodies were far less shapely and heavier too, by 1981 they had reached their most porked-out proportions as I've stated above. 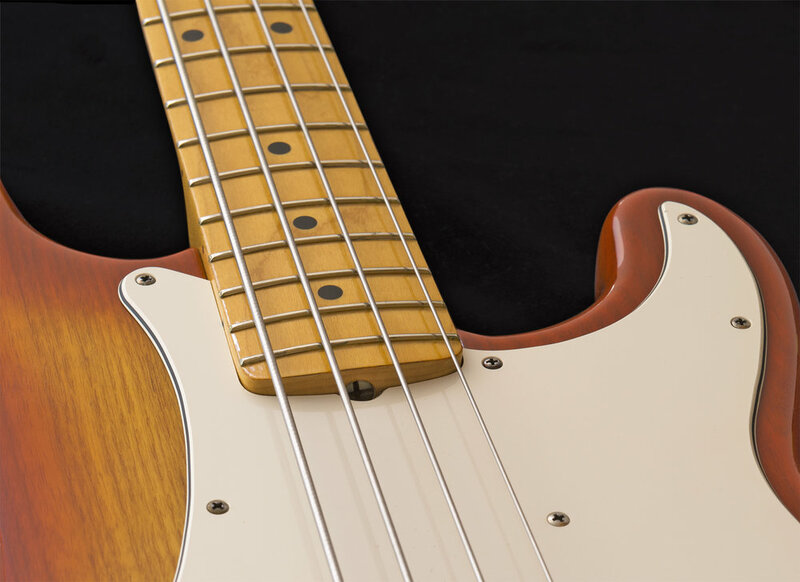 If you collect Fenders and want a bass that is a clean and unmolested representation from the Dan Smith era, you might consider adding this to your collection, so please inquire. I wanted to notate a few of the more significant differences that I have discovered between the International Series Precision Bass and this 1982 model. The IS Precisions appear to have Black Pickup Covers as opposed to the White covers that followed, (however, a few very late examples may have received white PU covers) they also have a Pickguard that places the Thumb Rest above the Low E String as opposed to NO Thumb Rest and BOTH have 3-ply pickguards. 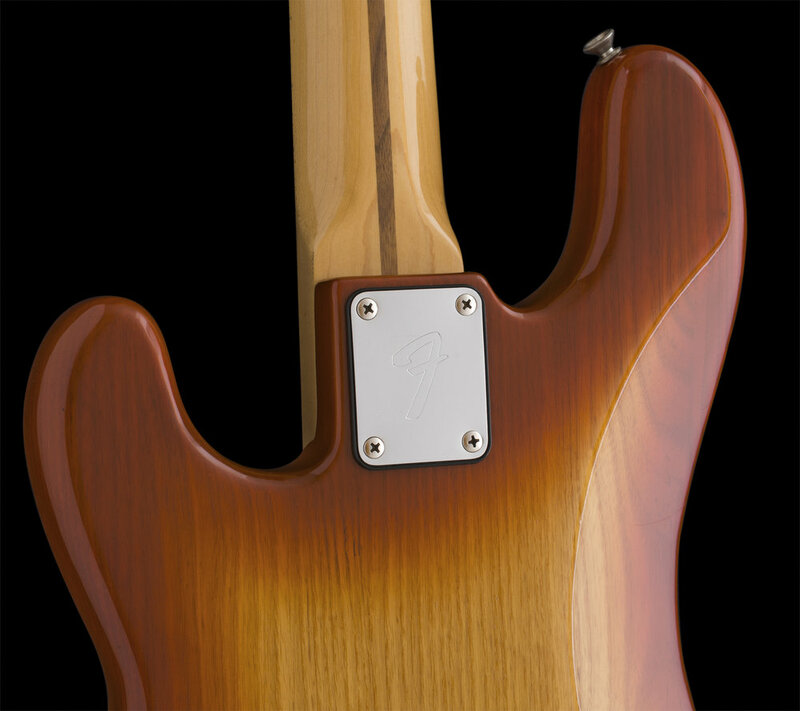 As far as I can tell, the Solid Color models utilized Black Oxide pickguard screws as opposed to standard Silver Screws, and it appears that both the IS and the 1982 models came with the Chrome-plated Pickup and Bridge Covers, a feature that ENDED there as the 1983 Bass offerings were sans Covers. Additionally, both models had a 5-screw bridge, unlike the 1983 models that followed which only had 3 screws fixing it to the body. Weight: 9 lbs. 12.8 oz.